We present world classics, modern masterpieces, and groundbreaking new works performed by top actors of the stage and screen. All shows are presented in our signature audio theatre format. Stockton, California 1945. Three Japanese-American sisters return to their farm after years in an internment camp, but the once prosperous family finds it’s not easy to pick up the pieces of their former lives. As the details of their deceased father’s final arrangements emerge, the sisters must work together to keep their dreams alive. Special Guest: George Takei in post-show discussion, Saturday, November 17, 3PM. 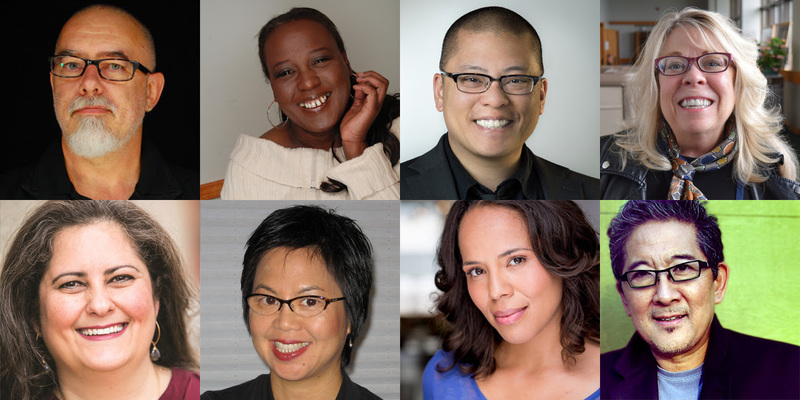 Presented in tandem with the ReOrient 2017 Festival of Short Plays, ReOrient Forum includes two free panel discussions featuring master artists, as well as post-performance conversations with ReOrient artists and special guests. Seven short plays. One unforgettable evening of theatre. Think you know the Middle East? Think again. ReOrient 2017 will turn San Francisco into a mecca for innovative, spirited, and thought-provoking theatre from or about the Middle East. Nowhere else will you find plays and artists from Armenia, India, Iraq, Iran, Japan, Lebanon, Palestine, Syria, Tunisia, Turkey, United Kingdom, and the U.S. all on one stage.